There have been developments in the technological world that are capturing the markets of the future– wearable technology. These wearables are movable frameworks that contain sensors to gather measurement data from our bodies. 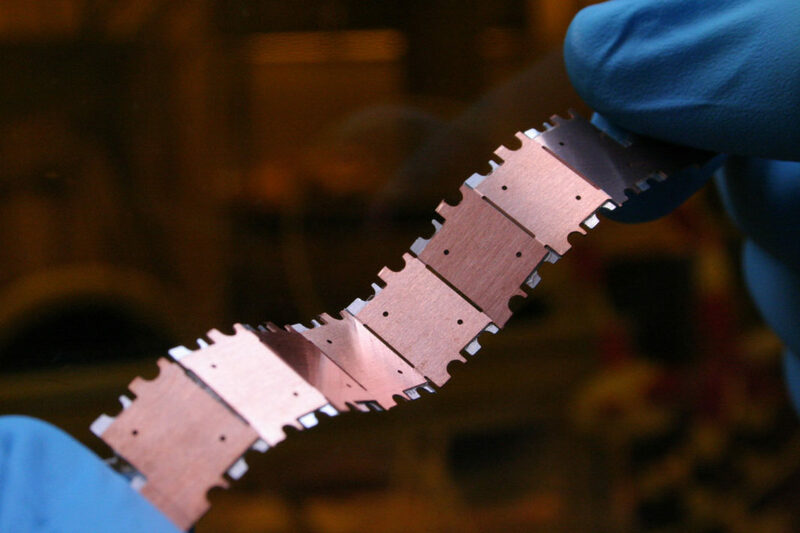 Providing power to these sensors without wires calls for malleable batteries that can adjust to the particular material and convey the power the framework requires. 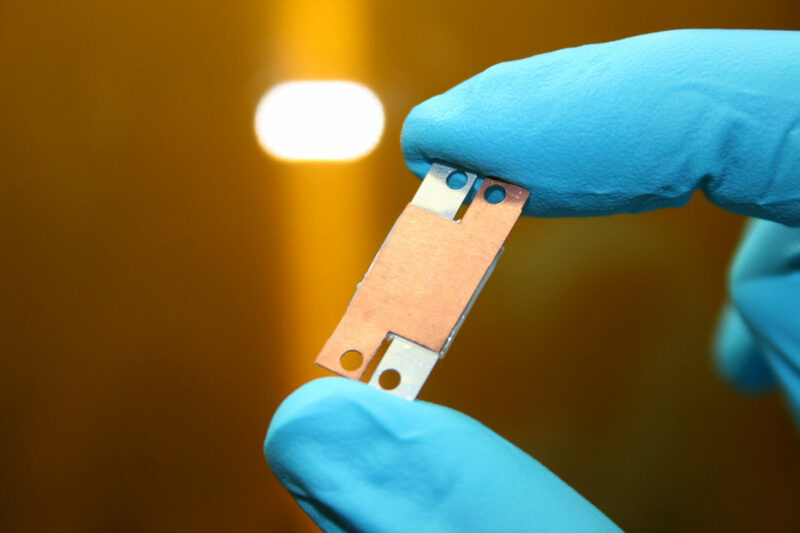 Smaller scale batteries created by the Fraunhofer Institute for Reliability and Microintegration IZM give the technical foundation to this new technological slant. In medicine, wearables are utilized to gather information without aggravating patients as they approach their everyday business – to record long haul ECGs, for example. Since the sensors are light, adaptable and covered in clothing, this is an advantageous method to screen a patient’s pulse. The innovation likewise has more everyday applications – fitness bands, for example, that measure joggers’ heartbeats while out running. There is tremendous development potential in the wearables department, which is anticipated to achieve a market estimation of 72 billion euros by 2020. A question arises relating to the powering of these smart wearables which present an important technical challenge. There are the technical deliberations – durability and energy density – as well as material prerequisites, for example, weight, adaptability and size, and these must be effectively consolidated. This is the place Fraunhofer IZM comes in: specialists at the establishment have built up a model for a smart wristband that, actually, gathers information first hand. The specialised piece de resistance of silicone band is it’s three shining green batteries. Bragging a capacity of 300 milliampere hours, these batteries are what provide the wristband with power. They can reserve energy of 1.1 watt-hours and lose under three percent of their charging limit every year. With these guidelines the new model has a lot higher limit than smart bands accessible at the market up until this point, empowering it to provide even taxing portable gadgets with energy. The accessible limit is really adequate to enable a conventional smartwatch at no runtime loss. With these sorts of statistics, the model beats renowned products, for example, smartwatches, in which the battery is just incorporated with the watch packaging and not in the strap. Rather than making the batteries flexible to a great degree at the expense of energy density and reliability, the foundation turned its concentration to planning small and powerful batteries and upgraded mounting technology. The batteries are pliable in between segments. As it were, the smart band is adaptable while holding significantly more power than other smart wristbands accessible in the market. Developing batteries for wearables, Fraunhofer IZM has consolidated new methodologies and years of experience with a customer-tailored advancement process: “We work with companies to develop the right battery for them,” explains the graduate electrical designer. In order to understand the energy requirements, the team consults closely with clients. They painstakingly adjust parameters, for example, shape, size, voltage, capacity and power and join them to frame a power supply idea. Customer-specific tests are also done by the team. In 2018, Fraunhofer IZM started work on another wearable technology, the smart plaster. Together with Swiss sensor producer Xsensio, this EU-supported task expects to build up a plaster that can specifically quantify and break down the patient’s perspiration. This would then be able to be utilized to make inferences about the patient’s general state of health. Regardless, having an advantageous, real-time analysis device is the perfect method to better track and screen healing processes. Fraunhofer IZM is behind the design concept and energy supply framework for the perspiration estimation sensors. The idea is to coordinate sensors that are to a great degree flat, light and adaptable. This will require the advancement of different new ideas. One idea, for example, would be an encapsulation system made out of aluminium composite foil. The researchers likewise need to guarantee they select materials that are economical and easy to discard. All things considered, a plaster is a dispensable item.